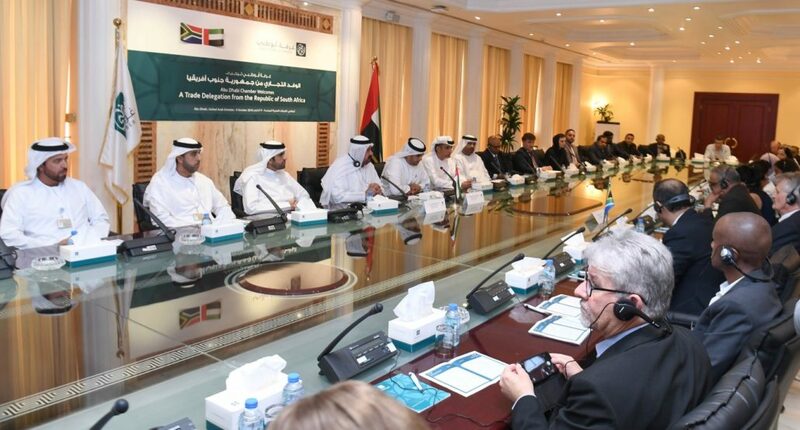 (Abu Dhabi) – The Abu Dhabi Chamber of Commerce and Industry discussed ways of promoting economic cooperation with a commercial delegation from South Africa, during a meeting that was held at its headquarters. The meeting was attended by Abdullah Ghareer Al Qubaisi, Director-General of the Chamber, and Saad Katchialla, Ambassador of South Africa to the UAE, as well as over 35 South African businessmen and investors. Al Qubaisi said that the meeting aims to promote commercial ties and strengthen the cooperation between companies and businessmen from the two countries while pointing out that the chamber, as per the directives of President His Highness Sheikh Khalifa bin Zayed Al Nahyan and His Highness Sheikh Mohamed bin Zayed Al Nahyan, Crown Prince of Abu Dhabi and Deputy Supreme Commander of the UAE Armed Forces, is improving its economic ties with friendly countries. He added that the UAE’s commercial sector, especially Abu Dhabi’s, has enormous potential and promising investment and cooperation opportunities for South African investors and companies while highlighting the increasing trade exchange between the two countries. The “Emirati-South African Business Council” has helped to improve the communication between investors and established key partnerships between the Emirati and South African business sectors. The non-oil trade exchange between the two countries reached over AED184 million in 2017. 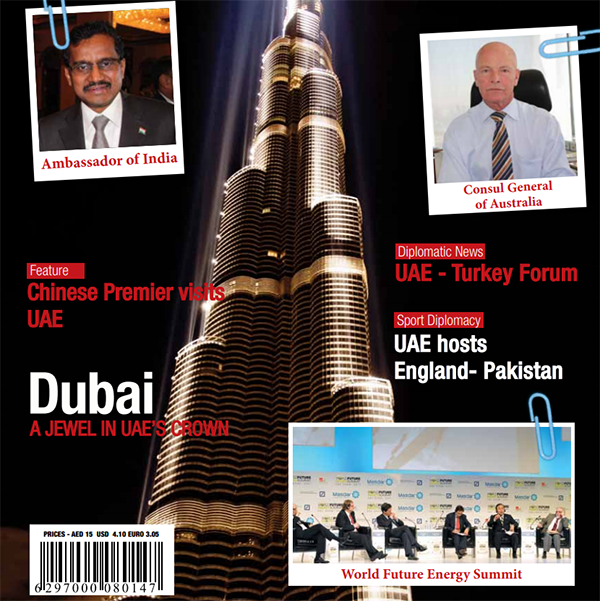 Al Qubaisi noted that South Africa occupies the 35th position in the list of countries that import to Abu Dhabi and is 18th in terms of exports from Abu Dhabi, and 57th in terms of re-exports. He also highlighted the mutual aspirations of both sides to enhance their investments and economic cooperation and develop their commercial ties while stressing that the coming period will witness the required progress. Al Qubaisi pointed out that the chamber supports and welcomes the establishment of investment projects between companies and businessmen who aim to benefit from its facilitations. Katchialla praised the meeting, which highlighted the willingness of the chamber to achieve economic cooperation and its mutual goals, as well as the opportunity to benefit from its excellent services, as the representative, organisational and promotional entity of the emirate’s private sector. He also stressed that such economic meetings will lead to greater cooperation between investors and companies, and will help introduce available investment opportunities to businessmen from both countries.